Hot Yoga has all the benefits of a normal yoga class with the added benefit of heat. It will challenge and enliven you and add a new dimension to your yoga experience. Be prepared to sweat. Bring a towel to place on top of your mat, and one to wipe off your face and body. Something to drink is a must, we recommend some water. Dress accordingly, you will be sweating and in a hot room so less is more. We are a Baptiste Inspired Studio and follow the Baptiste Methodology and principles that are firmly rooted in finding your power both on and off the mat! Come and discover how powerful you truly are! This is where you will be introduced to the basic poses and principles of Deep Release Yoga. You'll learn the sequence of poses designed to create "core opening". In a BASIC class, you will be provided with easy step by step directions, thorough explanations, and clear demonstrations. Questions are encouraged as you move through the process. This is a great class if you are new to this style of yoga or if you would like to learn more details about each posture. 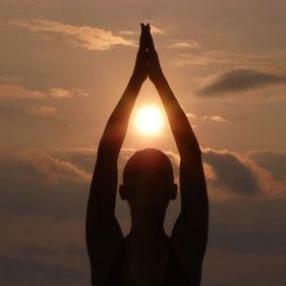 Lesson Plans for BASIC classes are based on themes that emphasize the primary principles of Deep Release Yoga. They includes such themes as Daily Practice, Lower Spinal Release, Spinal Flexibility, and Abdominals. Deep Release Yoga is an easy, safe, reliably effective form of yoga that unravels the deep layers of spinal tension in the body. This promotes healing and personal transfomation on all levels. This deep unraveling, referred to as "core opening" also creates a profound inner experience of the expanded sense of self that is the goal of all yoga. Open class for all levels. Instruction tailored to individual students. All props provided--no need to bring anything. Includes the basics of standing and seated poses, inversions, twists and backbends, as well as restorative poses and deep relaxation. A great way to end the work day! For the beginner seeking a strong foundation in the basic poses. Warm-ups, yoga basics, relaxation. Learn breathing techniques to ease tension and anxiety, lower blood pressure and find a calm sense of self.